Gujarti Food is known for serving great taste with high nutrition value. A typical Gujarati Thali includes some of the lip smacking dishes and desserts one can't afford to miss. The dishes and desserts of this western region offer different flavors. The dishes in Gujarat are cooked in a unique style and served in a silver platter. Indian cuisine offers one of the most diverse palates in the whole world! The cuisine varies from one state to another, with special quirks characteristic of each region. Some regions in India specialize in offering vegetarian food, while other places can create menu magic in non-vegetarian dishes. Living on same variety of food dishes with the same old and boring taste really make you sick of eating. To break this monotony people often go out for dine, but in most cases after they come back home they repent the time and the money they spent, for most of the restaurants nowadays to maximize profit use low quality of ingredients to cook various dishes they offer. 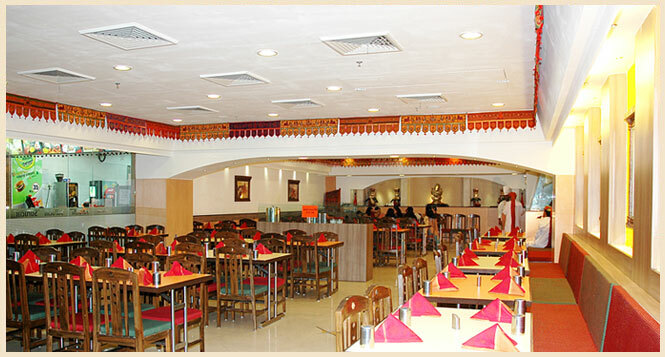 Most of the vegetarians whenever they go out to dine they find it difficult to search a pure vegetarian restaurant even in the city like New Delhi. It is indeed something that worries vegetarian people, but there is hardly anyone who is concerned about vegans. Each year Times City conducts food survey in the capital where the teams of food connoisseurs go to different restaurants in New Delhi to taste the food dishes of various cuisines that these restaurants offer. Similar to other years, this year too Times City did this survey all around the city and gave out awards to restaurants that were chosen for providing quality and tasty food dishes to their guests. In India across states there is a new trend mushrooming among kids where they threat their parents by throwing tantrums about everything. Like they make faces for eating vegetables, drinking a glass of milk, doing their homework and so on and so forth. If you are a parent, you must be confronting this situation every now and then. According to a recent survey on various restaurants in New Delhi suggests that more and more people are going for vegetarian food over a variety of non-vegetarian food. This change in eating behavior is catching up too fast all around the world and the reasons behind this wind of change are plenty, but their roots go back to the same point and that is the benefits attached with vegetarianism.